The V Series offers all the features you need in a home gym to create and reach personal fitness goals. With its compact design, you’ll use minimal floor space so it’s great for small areas. The V1 features a ratcheting seat and adjustable back pad to provide a custom fit for all users. The press arm range of motion adjustment offers quick starting position changes for a range of body sizes. 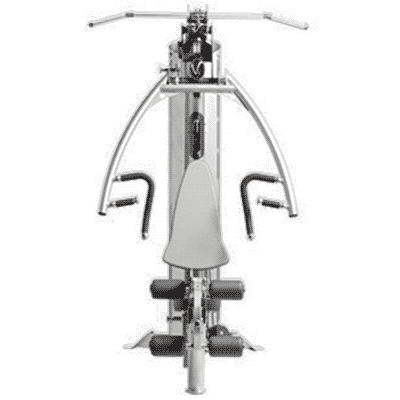 You’ll also achieve perfect alignment for leg extensions and curls with its multi-function roller pad. *NOTE: The V1 comes with a standard weight stack of 150 lbs. Additional 50 lb. weight stack available for an extra charge.